FaithWeaver NOW is a Sunday School curriculum that weaves faith into today's families where everyone studies the same Bible passage each week. 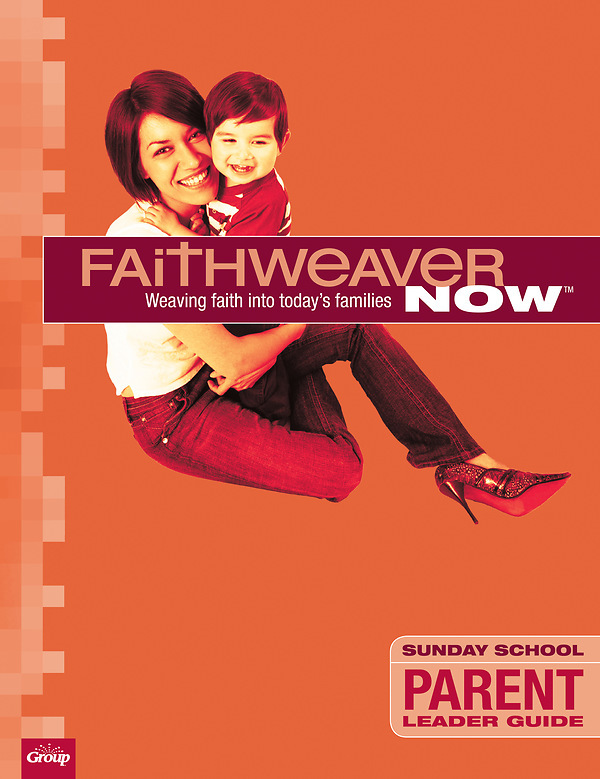 The Parent Bible Study Quarterly Teacher Guide includes daily challenges, devotions for leaders, creative ideas, plus discovering and applying Biblical principles. Lead bible studies with adults who are not parents! You'll also have access to a FREE digital copy of this Teacher Guide in Word and PDF format. You can customize the Word documents so that any lesson fits the needs of your ministry. Order one per teacher. Getting Starter: Arrival activities helping students engage the lesson in fresh, meaningful ways.